This 2004 Dodge Durango came in with the complaint that the blower did not work sometimes. Of course now that it is 95°F the blower hardly worked at all anymore. 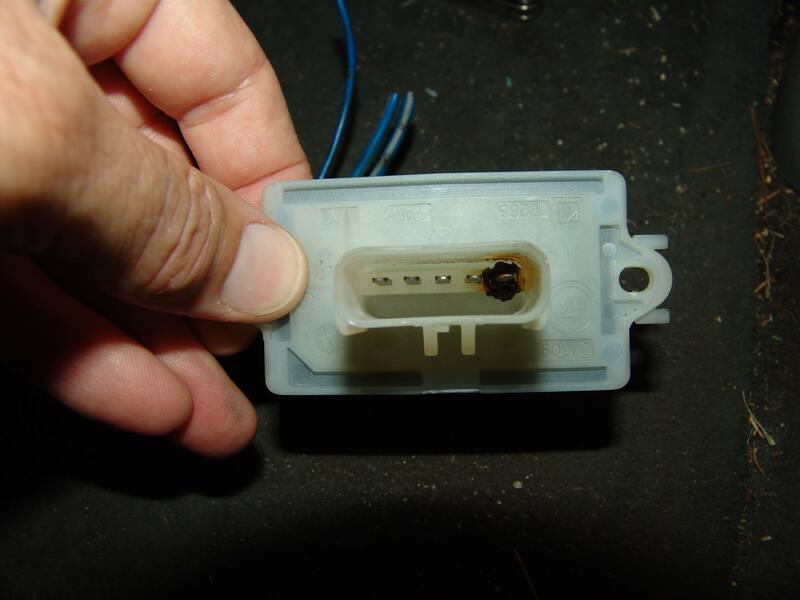 A burnt terminal at the blower motor resistor …. …. 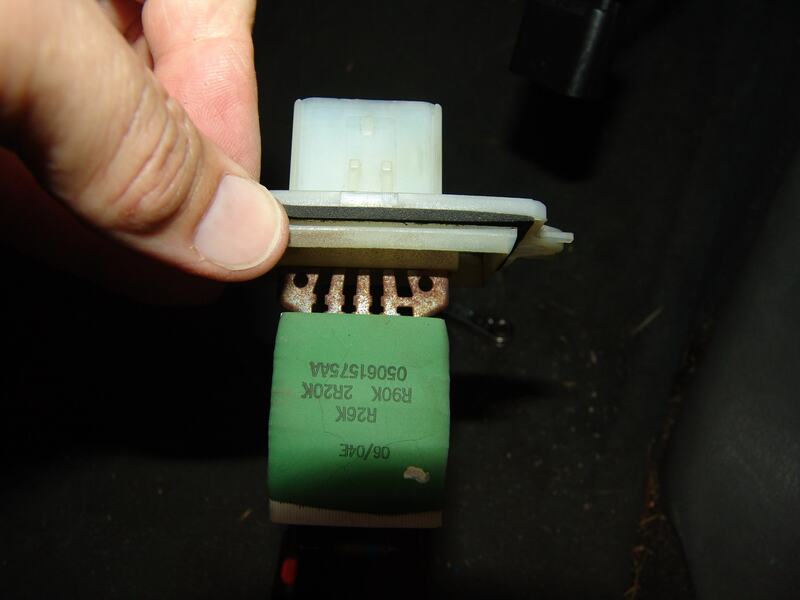 and the blower resistor harness connector is a very common problem on these vehicles. 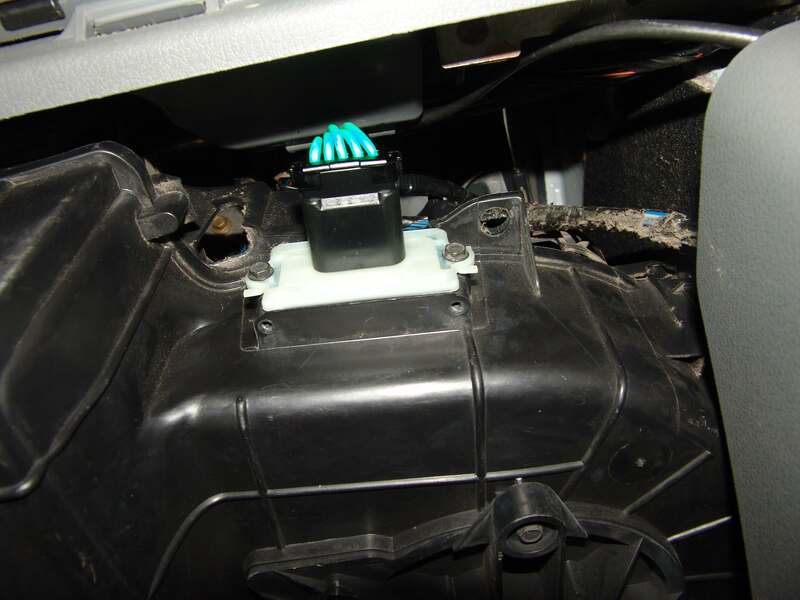 The blower resistor is located behind the glove box area and can be accessed under the edge of the dash. Two 5/16″ or 8 mm headed screws hold it in place. I used a boxed end ratcheting wrench to remove them. The red secondary lock on the top edge of the connector has to be slid towards the right before the thumb latch can be depressed and the connector removed. I have a twist on this repair that will help prevent this from re occurring. Note the crossbar between the two vertical bars on the right hand side of the resistor. This crossbar bypasses the high blower circuit around the resistors and connects it directly to the blower motor lead. The trouble is that regardless of the commanded speed the far right vertical bar is always feeding the blower motor. 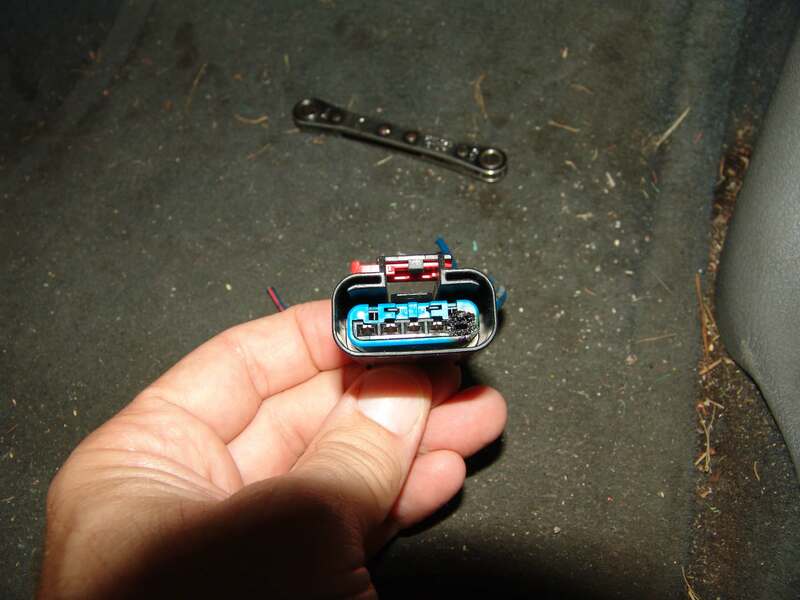 What I do is make that connection in the wiring on the outside of the resistor. This now directs the high blower command away from the inside of the resistor and creates two output legs to the blower motor for the lower three speeds. Also the high blower will now work with the blower resistor disconnected from the circuit. The two factory wires that are joined together are both dark blue with a gray stripe. 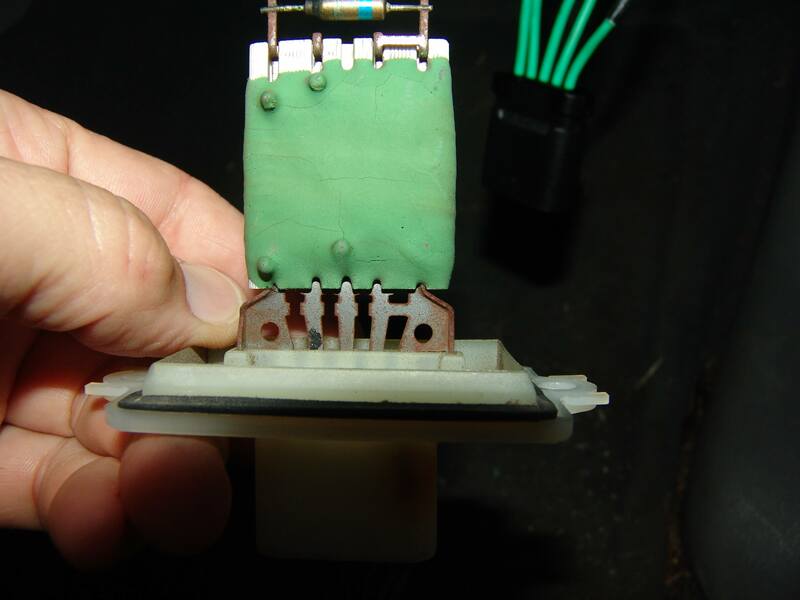 I used a 10-12 gauge splice terminal and the appropriate sized heat shrink tubing to connect the four wires together. The two factory wires were a tight fit and it took some patience to get all of the strands lined up and inserted into the terminal. The rest were 14-16 gauge terminals and heat shrink tubing. I prefer using seamless non insulated terminals with a heavy side wall. They cost a few cents more but cheap parts make for a cheap repair that will not hold up. The new harness connector spliced in and taped up. 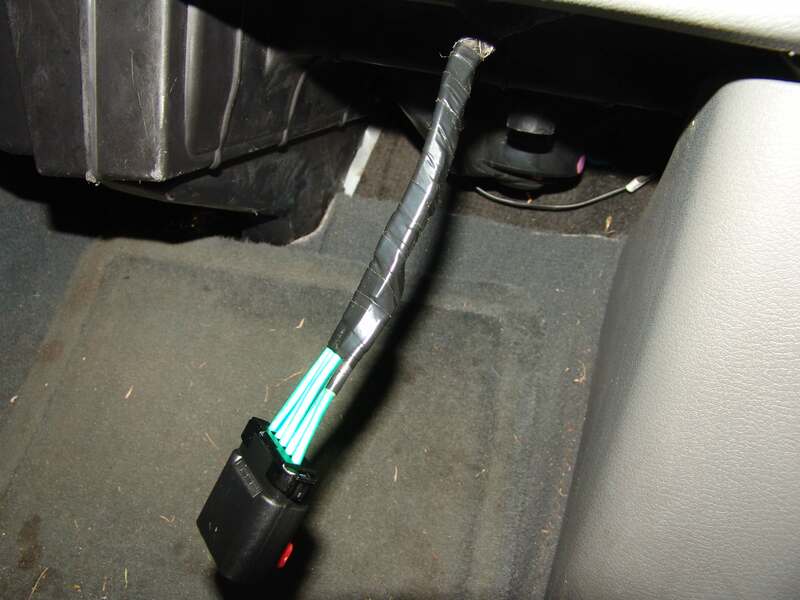 If you reach up behind the glove box area you can remove the part of the harness that is secured by a hook on the blower case. Doing so allows much more room to work on the harness. 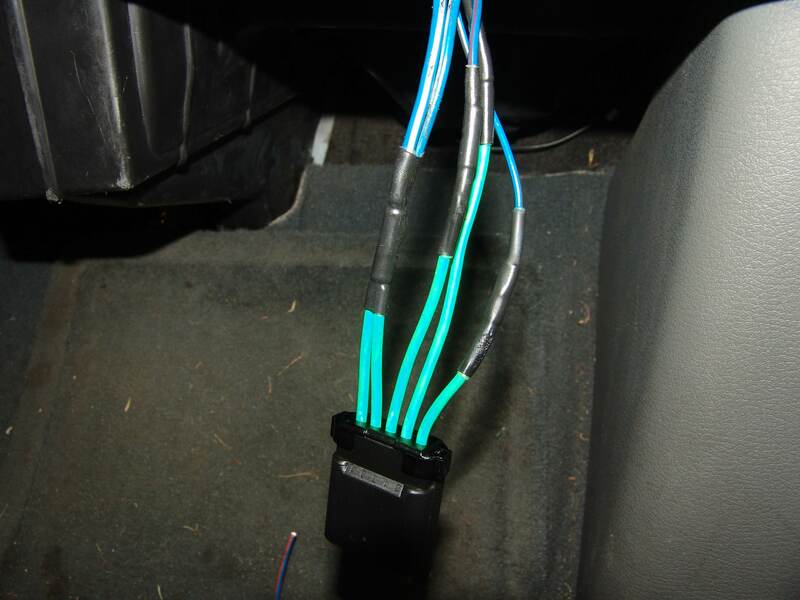 A look and the new resistor and harness connector installed behind the glove box area.